The Ukrainian parliament passed a vote of no-confidence in the Yulia Timoshenko-headed government on Wednesday. 243 MPs voted in favor of the move, with a required minimum of 226 votes. It was the Yanukovich-led Party of Regions that moved to recommend the request for a vote of no-confidence in Timoshenko’s cabinet. "Policies taken by the government… strongly aggravated social and economic problems in society," read a statement put out by the Party of Regions. "High inflation rates and criminal ignorance of the government not only did not boost consumer demand, but in fact led to a decline in domestic consumption," concluded the statement. Timoshenko defended her work saying her cabinet effectively fought against the economic crisis and managed to keep the country from disaster. According to political analyst Dmitry Babich, despite being ousted by the new administration, Timoshenko will continue to play an active role in Ukrainian politics. “She said she may continue her political career in opposition and she will have to face tough competition with Yushchenko, or maybe with some other people because the nationalist opposition will stay there, it will continue playing a role in Ukrainian politics. In that sense, Yanukovich’s victory was good for Ukrainian democracy because Ukrainian nationalists will form a very strong opposition,” Babich told RT. 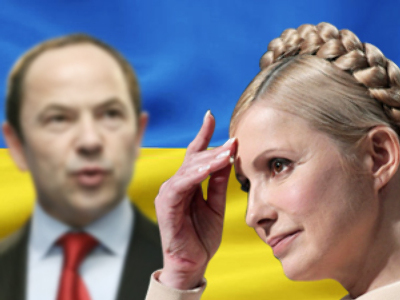 Kirill Koktysh, a political analyst at the Moscow State University of International Relations, expressed a similar point of view, saying Timoshenko is unlikely to leave Ukraine's political stage. Some predict that Timoshenko may now decide to run for mayor of Kiev. However, Evgeny Minchenko, Director of the International Institute of Political Expertise, said the ex-premier has very little chances of winning the election. “I think she will fight for snap parliamentary elections to be held as soon as possible,” Minchenko predicted. “She will try to take revenge, but I very much doubt she will succeed in that. It is most likely that she would get fewer votes than in the parliamentary election in 2007 or in the first round of the presidential vote. But still, she will get a chance to remain an active politician and get a deputy mandate. Because right now she is no one,” he concluded. Even if she does win and becomes mayor, Timoshenko would fall out of big politics, Minchenko added. Although it is unclear what shape Timoshenko’s role in Ukraine’s politics will take, she has assured the public she is determined to remain involved. “If Yanukovich thinks that in one week’s time he will be safe playing golf and tennis, I can assure you that it stops here. From now on, he will have to report to the whole country, and to the opposition. 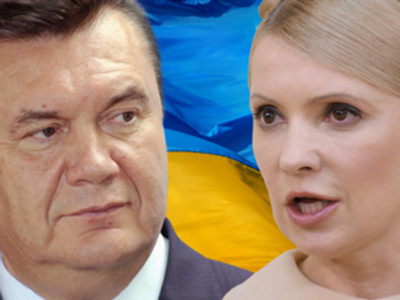 We will keep our eye on everything,” Timoshenko said today shortly before the vote. After Timoshenko’s resignation Aleksandr Turchinov will be the acting Prime Minister. The disbandment of the parliament, however, came as no surprise. A day earlier the parliamentary coalition between Timoshenko’s party, the Litvin bloc and Our Ukraine collapsed, and experts said that the Joan of Arc of the Orange Revolution stood little chance of retaining her post. Now the parliamentary parties have a month to assemble a new coalition before the president can decide to dissolve the parliament and call for new elections. 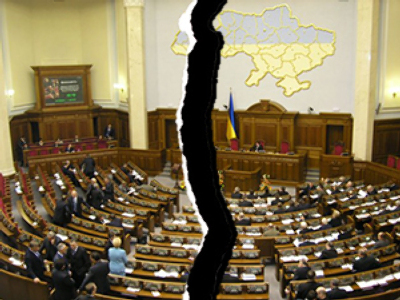 According to the Ukrainian Constitution, only the coalition has the right to nominate the next Prime Minister. On the agenda of the Ukrainian Parliament’s session on Thursday was a draft bill, proposed by two members of the Party of Regions, aimed at changing the way coalitions are formed. According to their proposal, coalitions will be formed not from factions, but from deputies, and factions with only a few members in the parliament will still be able to join coalitions. If the law passes, the Party of Regions will be able to form a coalition without involving Timoshenko’s party and the Our Ukraine Party. As for replacing Timoshenko, there are three possible candidates for the seat – Nikolay Azarov, Arseny Yatsenyuk and Sergey Tigipko. Azarov, the Party of Regions deputy chief, would be the most logical nominee, since “Yanukovich knows how to build up relations with him and… he is an experienced economist,” said Minchenko.